Please fill out a membership application regardless of the way you pay your annual membership dues. 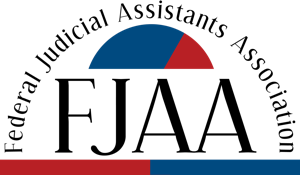 If you're paying by check (made payable to FJAA), please mail the membership application to your circuit rep along with your payment. If you're paying by Paypal (note the fee charged to FJAA will be included) please email the membership application to your circuit rep, with a note that you used Paypal. If you qualify for a free membership, please email the membership application to your circuit rep, with a note that it is free.